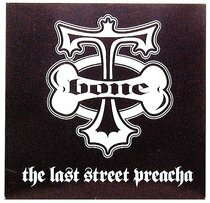 T-Bone collaborated with Jennifer Lopez, Kirk Franklin and Christina Aguilera before taking time out for missionary work and training. His return to his 'Gangsta Rap' roots features uncompromising lyrics and awesome beats. :T-Bone collaborated with Jennifer Lopez, Kirk Franklin and Christina Aguilera before taking time out for missionary work and training. His return to his 'Gangsta Rap' roots features uncompromising lyrics and awesome beats.